Dedrone is proud to release our newest sensor, RF-300, which automatically locates drones and their pilots. When combined with the broad coverage and early warning capabilities of Dedrone’s RF-100, the new RF-300 adds situational awareness for organizations to determine the nature and severity of threats from unauthorized drones. The ultimate protection a facility can take against drone threats is to stop the pilot before they can cause any harm, and hold them accountable for damages. The Dedrone RF-300 provides this opportunity to enable law enforcement and site security leaders to locate and take action against trespassing pilots. 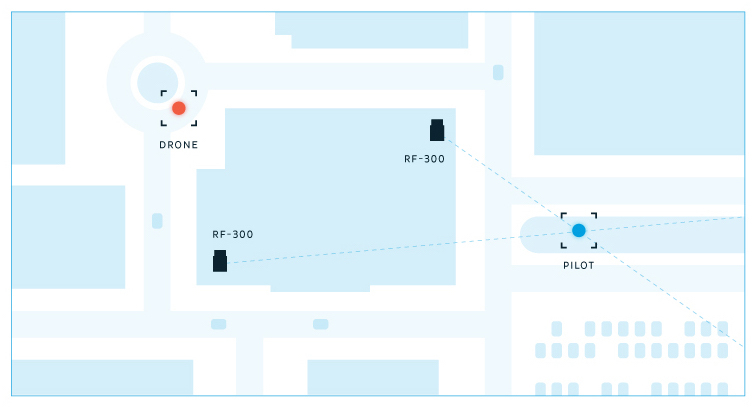 Dedrone’s RF-300 builds on the capabilities of the widely-deployed RF-100 sensor. Together, both sensors provide robust airspace security. 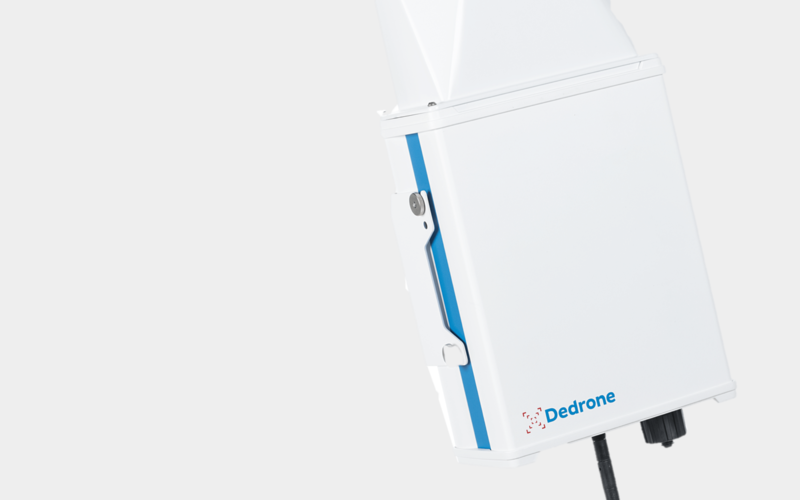 The Dedrone RF-100 is designed to diagnose the number of drones in protected airspace, while the RF-300 collects forensic evidence to take recourse against malicious pilots and prevent them from disrupting a protected site. The Dedrone RF-300 is already in action. The technology was recently deployed the technology at a global economic meeting in Davos, Switzerland, which was attended by over 3,000 people, with events headlined by world’s most compelling politicians, scientists, and leaders. The police of the Canton of Graubündenm were responsible for the security of their attendees, and with Dedrone, were able to monitor their airspace in real time and, if necessary, intervene and stop a drone threat at an early stage. Dedrone launched DroneTracker 3 in December 2017, bringing to market the industry’s first airspace security solution that includes automated summary reporting for instant diagnosis of drone airspace activity. DroneTracker 3.1 was released in February 2018, which was updated to integrate in to Dedrone’s RF-300. 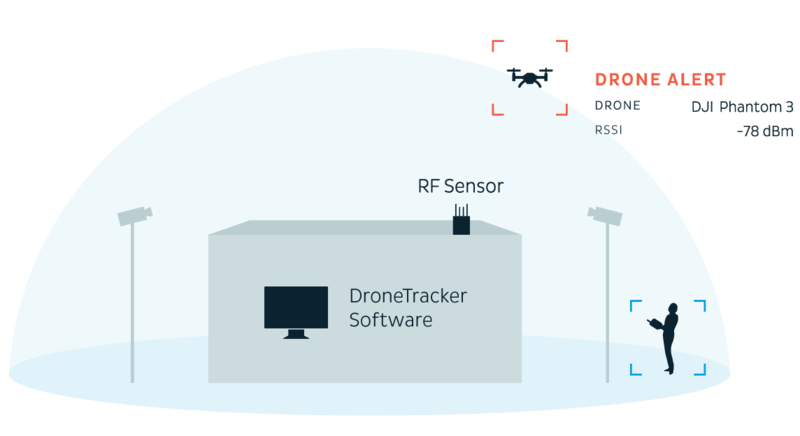 When combined, DroneTracker, Dedrone’s RF-100, and the new RF-300 make the Dedrone solution a complete, reliable, and accurate platform for drone detection and classification. 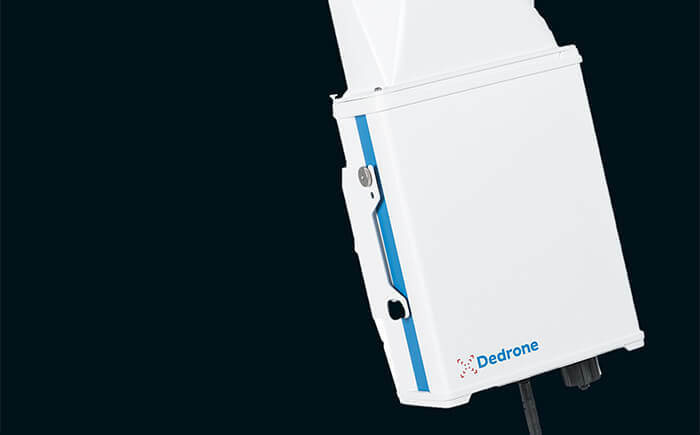 For more information on Dedrone’s RF-300, visit here.